Quit smoking – techniques can include ‘cold turkey’, counselling, nicotine replacement therapy and medications that work on brain receptors. Evidence shows that counselling, together with medical therapy, is most effective. Try to be as physically active as possible. If possible, attend pulmonary rehabilitation. Follow a COPD action plan. Make adjustments to your lifestyle and home environment to ensure plenty of rest. Keep adequately hydrated to help keep the mucus in your lungs runny and easier to cough up. Avoid smoky or dusty environments. Join a support group – call Lung Foundation Australia (Tel. 1800 654 301) for information on a support group close to you. We often don’t consider the important role our lungs play in keeping us strong and well. It’s not until we experience problems breathing that we take notice. But the truth is, like the rest of our body, our lungs need daily care and attention. Breathing feeds oxygen to every cell in the body. Without sufficient oxygen, people are more prone to health problems, including respiratory illnesses, chronic obstructive pulmonary disease and even heart disease. Among the many things you can do to keep your lungs functioning properly are some simple breathing techniques, according to Keith Roberts, RRT, CPFT, director of respiratory therapy at Rush. There are many different types of headaches. Although not all headaches are the same, they all share at least one thing in common - they cause pain. But many headaches also cause other unwanted symptoms, including nausea and vomiting. A variety of medications, both OTC and prescription, are available to reduce the pain of a headache, including: Pain relievers. Simple OTC pain relievers are usually the first line of treatment for reducing headache pain. These include the drugs aspirin, ibuprofen and naproxen. Should I treat my cough? Most of the time, a cough doesn’t require treatment. A cough from a cold or the flu (influenza) will usually go away on its own. Sometimes, cough medicines can be useful if your cough is keeping you awake or interfering with your daytime activities. Some types of cough should not be treated with cough medicines because the cough is helping to keep your lungs clear so you can breathe. Examples include a cough caused by smoking, emphysema, pneumonia, asthma, or chronic bronchitis. What types of OTC cough medicines are available? Over-the-counter (OTC) medicines are medicines you can buy without a prescription from your doctor. There are 2 types of OTC cough medicines: antitussives and expectorants. A common antitussive is dextromethorphan. The only expectorant available in OTC products is guaifenesin. Ministry of Health & Family Welfare seeks to create conditions whereby the people of Bangladesh have the opportunity to reach and maintain the highest attainable level of people health. It is a vision that recognizes health as a fundamental human right and therefore the need to promote health and reduce suffering in the spirit of social justice. Policy regarding Health and Family Planning. International aspects of medical facilities and public health, international sanitary regulations, port health and medical facilities abroad. Education, Training and Research on Medical nursing, dental, pharmaceutical, Para-medical and allied subjects. Standardization and manufacture of biological and pharmaceutical products. Standards for import and export of drugs. Control and management of abandoned pharmaceutical concern. Medical and health services including primitives, preventive, curative and rehabilitate aspects. The DGHS is one of the agencies of the Ministry of Health & Family Welfare of Bangladesh. DGHS stands for Directorate General of Health Services. The main functions of this agency implementation of health programs and services for the ministry of health. In addition, the DGHS provides technical assistance to the ministry. The Directorate General of Drug Administration (DGDA) under the Ministry of Health & Family Welfare, Government of the People's Republic of Bangladesh, is the Drug Regulatory Authority of the country. This DGDA supervises and implements all prevailing Drug Regulations in the country and regulates all activities related to import, procurement of raw and packing materials, production and import of finished drugs, export, sales, pricing, etc. of all kinds of medicines including those of Ayurvedic, Unani, Herbal and Homoeopathic systems.drugs and medicines. At present, there are 47 district offices under the DGDA in the country. All the officers of the DGDA function as "Drug Inspector" in pursuant to the Drug Laws and assist the Licensing Authority to discharging his responsibilities properly. Besides, a number of Committees, such as Drug Control Committee (DCC), Standing Committee for imports of raw materials and finished drugs, Pricing Committee and a number of other relevant Committees, which comprise of experts of different fields, are there to advice Licensing Authority and recommend him about the matters related to drugs and medicines. The Pharmacy Council of Bangladesh (PCB) is an Autonomous Organization under the Ministry of Health and Family Welfare, Govt. of the People's Republic of Bangladesh. It was established under the Pharmacy Ordinance, Ordinance No. X111 of 1976. Pharmacy Council of Bangladesh (PCB) is an Autonomous Organization that can provide scope for the graduate pharmacists. The council can be considered as the controlling authority of pharmacy education and practice. Recently, 8 pharmacists are working in PCB with advanced level of performance. The pharmacists working in this field ensure the highest standard of quality required for pharmacy training and practice in different academia. In Bangladesh industrial pharmacy offers opportunities to qualified graduate pharmacists in an industrial environment. The greatest number of pharmacists are involved in production, marketing and administration. The section 13(1) of drug control ordinance (1982) categorically says that the overall supervision of drug production must be done by a qualified graduate pharmacist. Thereby, the production supervisory positions in industrial plant are always held by pharmacists with bachelor’s degrees. Apart from production, there are many other areas in which an industrial pharmacist can specialize. Pharmacists with master’s degree in business find opportunities in pharmaceutical industries in marketing, sales and legal departments. After 22 years of the promulgation of drug policy(1982), the drug business has jumped from 250 crore taka to almost 3000 crore taka. At the same time the import of drugs has dropped from 90% to 5%. This has been materialized by the efficient contribution of pharmacists. Research is an integral part of medical science. Unfortunately, in Bangladesh medical students get very little scope to do research in their undergraduate curriculum. Even those who want to be a health researcher in future, they often can’t make it due to lack of proper guidance and support. From BUET every year many students are going to abroad to pursue their research career. On the other hand, many medical students even don’t know about these opportunities and how to proceed to have one for themselves. I asked medical students why do you think BUET students get more chance to study abroad and in answer they said that it’s very easy for BUETians as they have a strong network of seniors studying abroad to guide them throughout the whole process. And it’s actually a fact! So I have decided to elucidate on this matter in my blog-posts. The biggest risk factor for developing diabetes is being overweight, but not all body fat is created equal. Your risk is higher if you tend to carry your weight around your abdomen—the so-called “spare tire”—as opposed to your hips and thighs. So why are “apple” shaped people more at risk than “pears”? “Pears” store most of their fat close below the skin. “Apples” store their weight around their middle, much of it deep within the belly surrounding their abdominal organs and liver. This type of deep fat is closely linked to insulin resistance and diabetes. In fact, many studies show that waist size is a better predictor of diabetes risk than BMI (body mass index). Scabies is a contagious skin disease caused by a very small mite. Although over-the-counter (OTC) treatments are available for scabies, it is recommended that you visit your GP if this is the first time you have had a scabies infestation. This is because other, more serious skin conditions can cause similar symptoms to scabies. It is therefore important for your GP to rule these out as a cause of your symptoms. However, if another member of your household has already been diagnosed with scabies, you will not need to visit your GP and should proceed with treatment. The two most widely used treatments for scabies are permethrin cream and malathion lotion. Permethrin is usually recommended first, and malathion lotion is used if the permethrin cream proves ineffective. Both medications contain insecticides that kill the scabies mite. Acetaminophen and ibuprofen can help your child feel better if your child has head or body aches or a fever. They can also help with pain from injuries such as a bruise or sprain and from soreness caused by a needle shot. Acetaminophen comes in liquid and chewable forms and also as a rectal suppository if your child is vomiting and can’t keep down medicine taken by mouth. Ibuprofen comes in concentrated drops for infants, liquid (in the form of syrup or elixir) for toddlers, and chewable tablets for older children. Asthma is a disease in which there is a brief, temporary narrowing of the airways in the lungs, referred to as bronchospasm. 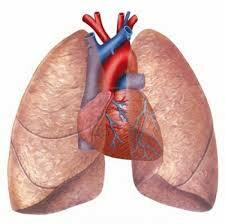 This narrowing prevents air from moving in and out of the lungs easily. As a result, an asthmatic patient has episodes when breathing is difficult. An asthmatic episode can resolve spontaneously or may require treatment. Asthmatic patients and their physicians may select from a wide variety of prescription medication including OTC drugs. Epinephrine and ephedrine once were the only effective medications for treating asthma. Beginning in the 1980s, newer medications were introduced that target more of the abnormal conditions in asthma and do so more effectively than epinephrine or ephedrine. The global pharmaceuticals market is worth US$300 billion a year, a figure expected to rise to US$400 billion within three years. The 10 largest drugs companies control over one-third of this market, several with sales of more than US$10 billion a year and profit margins of about 30%. Six are based in the United States and four in Europe. It is predicted that North and South America, Europe and Japan will continue to account for a full 85% of the global pharmaceuticals market well into the 21st century. Companies currently spend one-third of all sales revenue on marketing their products - roughly twice what they spend on research and development. Pharm.D. is a professional doctor degree in pharmacy. In some countries, it is a first professional degree, and a prerequisite for licensing to exercise the profession of Pharmacist. The first Pharm.D. program was established at the University of Southern California School of Pharmacy in Los Angeles, California in 1950. Nowadays, PharmD study program is offered from majority of the Pharmacy Schools of almost all countries of the world. Our neighboring countries like, India, Nepal etc started the program in and around the 2008-9 academic years. But Bangladesh is different! Some of the Pharmacy Schools are highly interested and have initial preparations to start the program. PharmD is a professional degree of the Doctor of Pharmacy. So, the interested departments/or schools of Pharmacy will require permission and accreditation from the Pharmacy Council of Bangladesh (PCB). For the interests of the prospective students and the people of Bangladesh, PCB and UGC are to agree in principle on the urgency and necessity to appreciate the start of the PharmD study program at some of our prospective public and private universities. Crude drug : The term "Crude-Drugs" generally applies to the products of plants and animal origin. • A crude drug is defined as any naturally occurring unrefined pharmaceutical substance which is derived from organic or inorganic sources such as plant, animal, bacteria, organs or whole organisms and intended for use in the diagnosis, cure, mitigation, treatment, or prevention of disease in man or other animals. • They are the dried, unprepared material of plant, animal or mineral origin, used for medicine.